Lots of advertising and fun! Be sure to check-out the SurfAholics TE Promo Wall to move your advertising! Here are a couple of bonuses, just for reading this page. The first one can be found with the Commando Surf. The second one is at the bottom of this email. The middle part of this email is great information to keep you in the know and to have fun, while building your business. 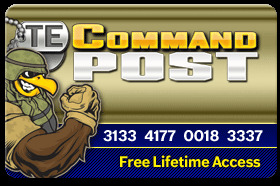 Go Commando Surf, and receive up to 20 percent more per click! Do you have your Bingo cards? We are rolling the numbers and giving out great prizes! We are a part of the CSN 555 Partnership, just another way to bring traffic to your business! We are excited to have members from all these traffic exchanges taking part in the fun with us! It is really simply to qualify. 1. Choose any one, or all. 2. Surf 125 pages (150 pages at Hits and List Cafe) at the respective traffic exchanges, and SurfAholics TE. 3. Choose from 100 credits, 250 banners, or 250 texts (or five cents at Hits and List Cafe) from Surfer Rewards. 3. Receive 25 credits, 250 banners, and 250 texts. So what you waiting for, Login and have some fun! And be sure to tell your friends! Be sure to assign your credits, banners, and texts to keep your advertising going! And you never know, when we might add some prizes in the surf, so be on the lookout for special deals and prizes in the surf as well! Remember, our traffic exchanges motto is: The Future Is Now!! !